Gruinard Island: The Island of Death! Just off the British Isles, in the Scottish Hebrides, is a seemingly serene island whose green-peaks belie the terror of government sanctioned death experiments! 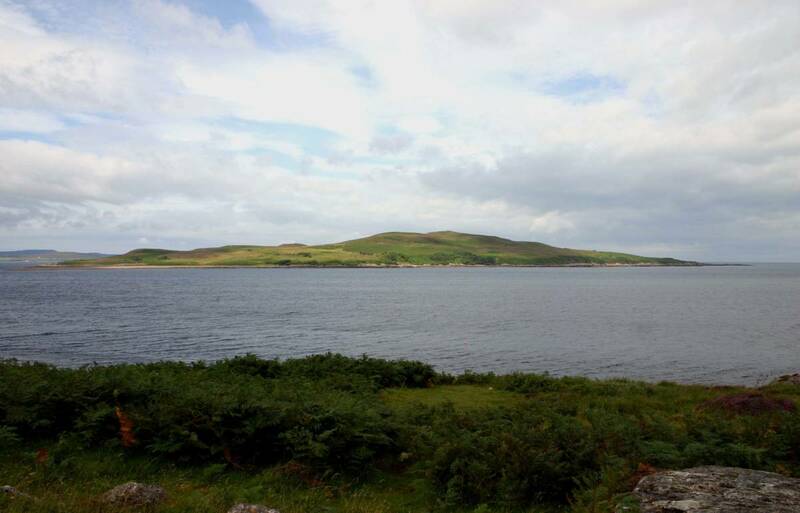 Gruinard Island, a small oval shaped isle, is less than a mile from the Scottish mainland, but it was here that secret forces of the embattled UK unleashed a testament of terror – a deliberate use of explosive Anthrax bombs that decimated the isle’s populace. 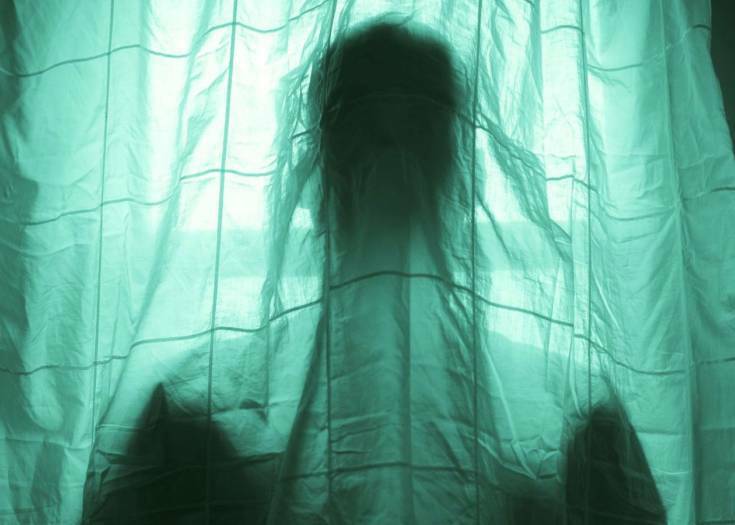 The island was quarantined for 75 years because anyone that set foot on it was as good as dead within minutes. At the height of World War Two, after surviving the Blitz, the British government became fearful of a Nazi chemical warfare attack dropped on London by the relentless Luftwaffe. The big brains were desperate to develop a weapon they could deploy first, regardless of consequence. Top military scientists from Porton Down, the UK wartime think tank, investigated the possibilities of an enemy attack using anthrax. The deadly bacillus can kill via skin contact, inhalation and ingestion. Their plan was to explode bombs containing anthrax and then let the airborne menace destroy all that came in contact with the lethal killer. Not only would the anthrax lay waste to a populace, but the area where detonation occurred would be contaminated for decades. In 1942, Gruinard was selected as a testing site because of its minute size and for the fact that it was uninhabited. Scientists surveyed the area and then seized it in a war time requisition from its heirs by the British Government. The Anthrax strain selected was “Vollum 14578” named for the microbiologist who supplied it. Eighty sheep were transported to the island in deep secrecy and bombs laced with the contagion were detonated near the sheep. Within days, the animals began to die horribly. The entire experiment was filmed in 16 mm. color by the scientists. The footage was finally declassified in 1997, and made available to the public. THIS is the original film of the tests. WARNING: contains graphic content – proceed at your own risk. Analyzing the tests, scientists realized that while the Anthrax bombs would kill their enemies quickly, the chemical fallout and ensuing contamination would render cities uninhabitable for decades – much like the radioactive fallout from atomic bombs (which did not exist in 1942). 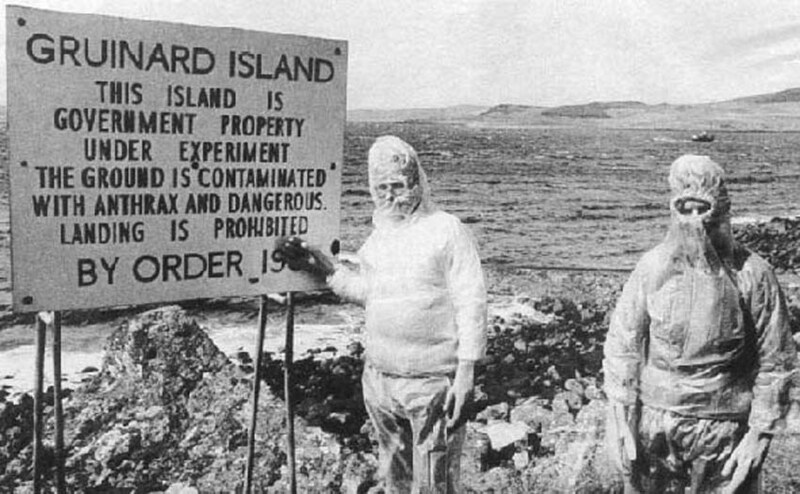 Initial efforts to decontaminate Gruinard Island failed after the biological warfare experiments because the anthrax spores were nearly indestructible. The island was declared under quarantine as anyone who set foot on the once idyllic island would die instantly. Visits were strictly prohibited except for the ones made by the Porton Down soldier-scientists who would periodically check contamination levels. 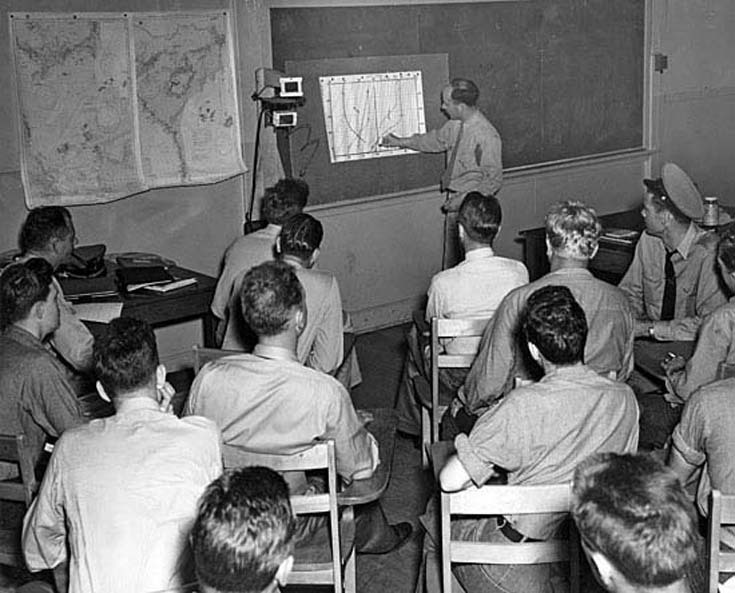 Nearly forty years later, stealth microbiologists began sending messages under the code name “Operation Dark Harvest” demanding a thorough decontamination of the island. The military research facility at Porton Downs received an anthrax laced soil sample. Other warnings were deposited at the site of a major political convention in Blackpool. 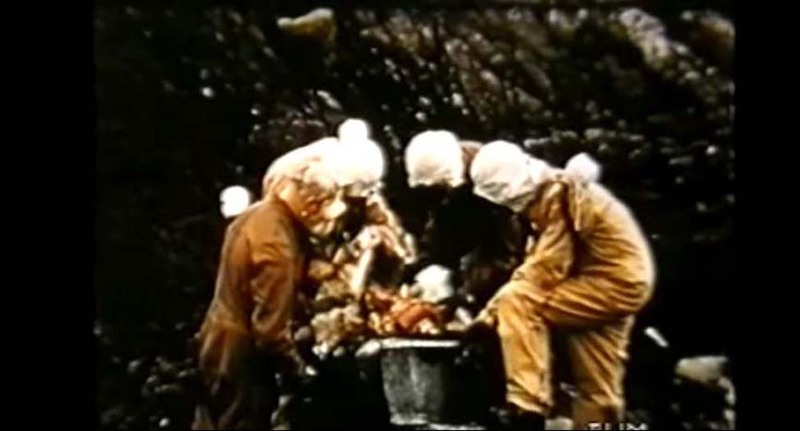 Fearful of what the mysterious group would do next, the British Government began a full scale de-contamination of the island with formaldehyde in 1986. Unlike Chernobyl which remains a nuclear wasteland, it took four years to decontaminate the island, which was eventually declared “safe” in 1990. The junior defense minister visited the island, himself, and removed the quarantine signs, returning the island to its heirs. But not everyone is so sure it’s safe. Anthrax is a highly resilient bacterium and like THE ANDROMEDA STRAIN, mutation may occur. “I would NOT go walking on Gruinard,” archaeologist Dr. Brian Moffat warned.